Open the doors of the House wider. We want to offer a Northwest School education to any talented student who seeks it. 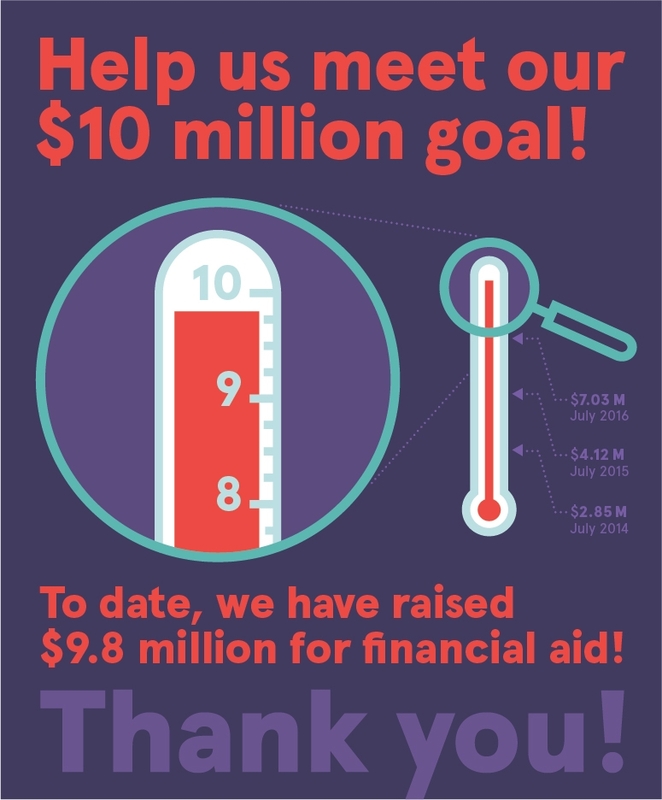 The goal of The Values in Action Campaign is to grow our financial aid endowment to $10 million. Your gift will help us reach this goal and create more opportunities for promising students to fulfill their potential. Become the school of choice for promising students from Seattle and around the world. 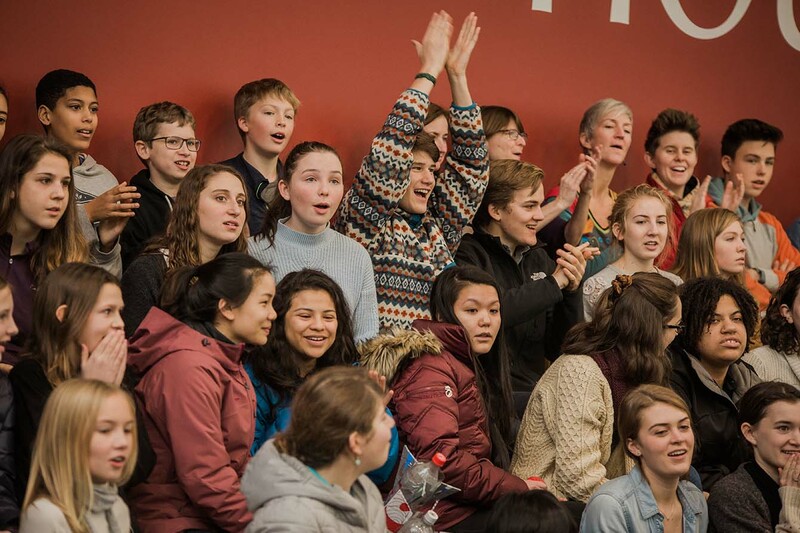 Your gift will support the bold idealism, academic excellence, global perspective, and inclusive community that The Northwest School embodies. Creating a sustainable funding model for our financial aid program ensures that we will continue to attract and accept the most talented students in perpetuity. Support the many dimensions of diversity and inclusivity. Greater financial aid resources allow The Northwest School to attract remarkably accomplished and diverse students from across the socio-economic spectrum. Your gift will make the learning experience richer and more rewarding for all students in the House. Strengthen The Northwest School financially – today and for the future. With a secure and consistent source of financial aid funding, our school will be able to meet the evolving needs and interests of current and future students. Your gift will make The Northwest School a stronger and more financially sustainable institution. Enable The Northwest School to compete more effectively in a very challenging market. Your gift will promote the founders’ vision of a truly diverse and inclusive learning environment by providing a level of access that rivals any educational institution in Seattle. Your investment in The Northwest School’s sustained excellence will ensure that our school remains relevant and competitive well into the future. diverse community. They envisioned an inclusive culture attracting and welcoming students from all backgrounds and with unique perspectives, regardless of their family’s ability to pay. The time has come for us to make a Northwest School education accessible to all families. Our school community has been, and always will be, an optimistic and idealistic place. We strive daily to empower our students to make positive changes in the world, and putting our values into action through our fundraising sets a powerful example for our students and our community. Established in 2007, The Raymond Taussig Terry (RTT) Financial Aid Endowment Fund honors co-founders Paul Raymond, Ellen Taussig, and Mark Terry. Part of Northwest's core philosophy is that the education of responsible citizens is best achieved when a diverse group of students studies a variety of perspectives in an atmosphere of respect. The RTT Endowment Fund’s purpose is to increase access to the Northwest School education through tuition assistance, and to expand the economic diversity of the school’s community. Currently, 16% of students at Northwest receive tuition assistance. Contributions to the RTT Endowment Fund will increase the school’s capacity to provide assistance in a sustainable and permanent way. For questions or more information, contact Walter Long. As endowment is the foundation that sustains the school’s excellence and mission, the General Endowment Fund provides the flexibility for Northwest to evolve over time. Gifts to this Fund are often referred to as “unrestricted” endowment support, simply meaning that the growth and interest within this fund will provide Northwest with long term financial stability for a range of future needs. This fund directly impacts the daily lives of students by providing critical funding for the enhancement of our program and campus. Checks should be made out to "The Northwest School" with a memo for the purpose (such as "Financial Aid Endowment"). Through a foundation, workplace payroll deduction, or matching gift. Please contact our office at 206-816-6200 or development@northwestschool.org.